Contractors' Questions: Which IT skills are hot for Europe 2010? Contractor's Question: Given the UK is behind the rest of Europe in recovering from recession, am I better off upping sticks for the continent to find an IT contract? And in terms of the member states, where exactly should IT freelancers look and which roles or projects will be the easiest for them to find? Expert's Answer: European end-users of IT contractors demonstrate a clear preference for local contractors who speak the local language and who may offer greater stability than those from the UK. Of course, this situation can be reversed once an IT skills shortage surfaces. In terms of whether you'll be better off on the continent, the near parity between Sterling and the Euro means a UK contractor is at an advantage while working in Europe and being paid in Euro. More generally though, the outlook for IT hiring patterns is that permanent recruitment is showing some signs of an upturn (as a result of more economic confidence). Contract recruitment has been growing for two or three months, mainly as a result of clients needing to fill gaps in the IT workforce left by headcount reductions last year. Where there was a previous migration of labour from these countries to the UK, the higher cost of living in the UK has seen a recent reversal of this movement. 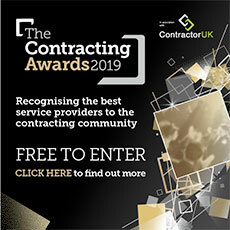 So UK contractors are likely to face more competition from local contractors with similar skills trained in the UK, who typically have a better grasp of local culture and legislation. But system automation and online development will drive a lot of companies' IT hiring plans in 2010, as they attempt to reduce their carbon footprint with 'Green IT,' while 'cloud computing' is also gathering pace. For the more traditional IT skillset, cumbersome and enterprise-wide systems such as CRM and ERP will always need support and maintenance, as will finance systems because the sector's companies are looking for fiscal efficiency during the current economic climate. Automating systems has its advantages for end-users, as it allows them to reduce debtor days, reign in their exposure and beef up their risk analysis systems. However, unless you look beyond the tried and tested legacy systems and development, such as Cobol, it is unlikely that UK IT contractors will face a 'bidding war' for their skills, as has been seen in previous years. The reason for this is simply that many clients are refusing to look beyond the first half of 2010 to implement new IT projects. The expert was Richard Herring, European staffing services director of Volt Europe , a specialist in temporary and contract IT recruitment.